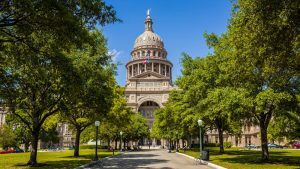 At the beginning of the Texas Legislature session this year, it seemed like a slam dunk that conservative lawmakers would stop Austin and other cities in their tracks in their efforts to pass employment laws like mandatory sick pay. Senate Bill 15 (text here) passed through the Texas Senate Committee on State Affairs on February 28. It would both nullify and prevent city efforts to regulate private employer benefits like sick leave. The bill, however, is broadly worded to prohibit regulation of not only paid sick leave, but other employee benefits, scheduling practices, and background checks. Although the bill has passed through committee, there is rising opposition to the bill because the version that passed the committee did not include an earlier exemption for existing city ordinances prohibiting discrimination based on sexual orientation or gender identity. Texas has no such protections under its state discrimination statute, so many cities have established such protections, and if they are voided under this new bill, it would leave no legal protection in place. The bottom line is that what appeared to be an easy path for the law overturning Austin’s sick pay ordinance is now looking to be a tougher road, with newfound political opposition. Currently, the State Legislature is scheduled to complete its regular session in late May, so we should have an answer in the next few months on the future of city ordinances regulating employment benefits in Texas. 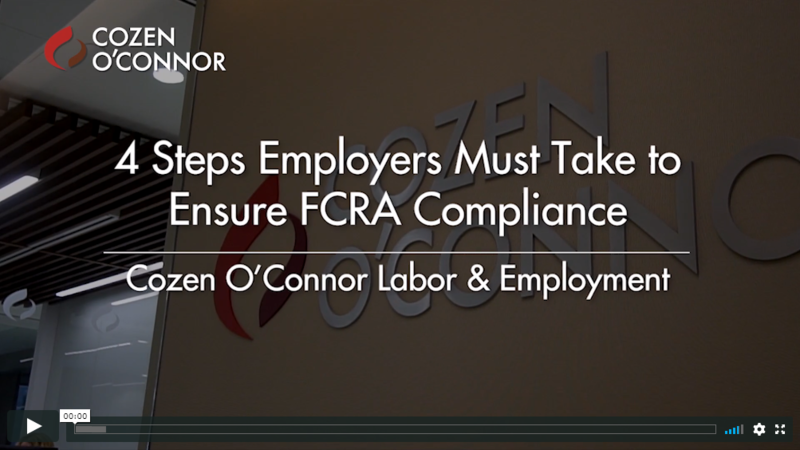 What are the four primary steps that employers must take in the Fair Credit Reporting Act (FCRA) process for onboarding an applicant? Bethany Salvatore and Bryant Andrews discuss FCRA requirements and how employers can protect themselves from liability. Criminal background checks are helpful in not only identifying applicants who might not be suitable for a job, but in limiting the potential liability associated with negligent hiring claims. 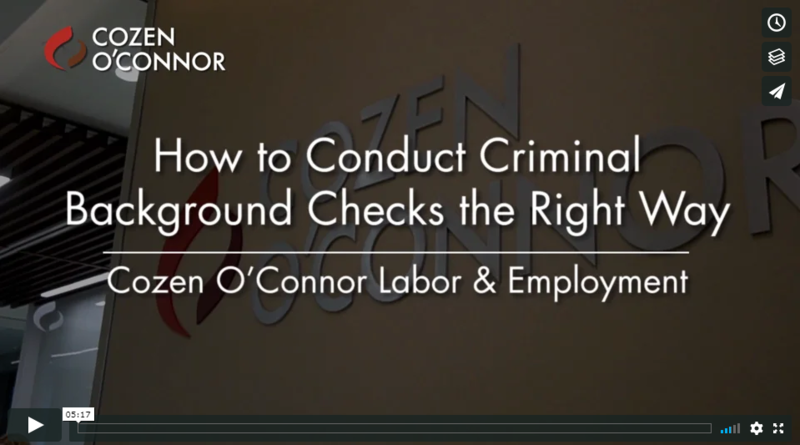 Bethany Salvatore and Bryant Andrews answer your questions about when to conduct criminal background checks, how to conduct them, and how to protect your company from liability.